When you hear the word trafficking, you usually associate it with large shipments of drugs such as kilograms of cocaine or bales of marijuana, but the truth of the matter is that you can be charged with trafficking for having far less than a truck load of drugs. There are a few state laws that use the trafficking terminology, and violations of each of these laws carry a maximum 20 year prison sentence and large fines. The fine is oddly smaller for trafficking hallucinogens than it is for other illegal drugs and narcotics. Either way, if you care charged with this enhanced crime, chances are that the state will be offering you a considerable amount of jail time along with heavy fines. There is no need to face these serious charges without the help of an experienced drug defense lawyer. We have represented numerous clients charges will possessing and selling large amounts of illegal substances, and we will aggressively fight the state for the best possible outcome in your case. Under these two sections of the Maryland controlled dangerous substance or CDS laws it is illegal not only to distribute, but also to possess a controlled substance in a sufficient quantity that indicates an intent deal the drugs. Police and prosecuting lawyers are not bound to a specific quantity of controlled substances in order to charge and prosecute this drug trafficking crime. Police and prosecutors will look at all circumstances surrounding the arrest to determine whether these circumstances reasonably indicate an intent to dispense or distribute the drugs. These circumstances include how the drugs were packaged, the presence of items such as digital scales and plastic baggies, and the presence of large quantities of cash. If the arrest was executed as part of an undercover buy bust operation, or if the police officer actually observed a hand to hand transaction they will naturally arrest the defendant for distribution, but an experienced criminal lawyer may be able to file certain motions and incorporate defenses to have a distribution charge dismissed or dropped to a simple possession charge. The other controlled substance crime that is classified as drug trafficking under state law is section 5-614 of the state criminal code. This section makes it a crime to import certain controlled dangerous substances. For the purposes of this law, importation of controlled substances is defined as bringing a substance into the State without authorization. The state must prove specific minimum amounts to the drug at issue to prove importation of a controlled dangerous substance. The specific amounts that are listed in the statute include 28 grams for cocaine or any mixture of cocaine. Keep in mind that the state does not have to produce 28 grams of pure cocaine to charge importation, as the cutting agents are counted in the total weight. Other listed amounts include 4 grams of morphine, and 1,000 doses of LSD or acid. If the state lacks sufficient evidence to prove the minimum required amount it may still charge a person with distribution under the other two drug trafficking sections. Importation of a controlled dangerous substance is a felony that carries a maximum sentence of 25 years in prison and a $50,000 fine. These maximum penalties are slightly higher than the other two drug trafficking violations. 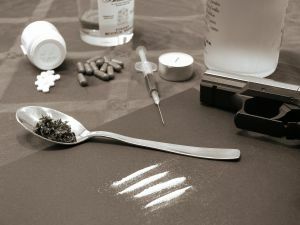 If you would like a free consultation for your drug trafficking case contact the firm at 410-207-2598.